The Young Makers Show and Tell is a series beginning on April 3rd between 11:30-3pm and occurring the first Sunday of each month all the way until September 2016. This fun family inclusive event is to inspire the maker in your child. It includes hands-on demonstrations, workshops and activities for ages 6 and up. Some activities may require the use of x-acto knives and cutting and suited for 12+ and therefore parental supervision and help is highly recommended. Come and join us for the Global Cardboard Challenge. It will be a fun-filled creative afternoon as we build a city together out of cardboard! Build anything you like, the only rules are use your imagination and build it out of cardboard. Need some cardboard? Drop by River Market’s admin office and we can help you out! This event is organized by River Market’s Young Makers and Hive City. Stephanie Ostler As a local clothing and jewelry designer and owner of Devil May Wear, Ostler encourages people to make sustainable purchases firstly by buying better and living with less. As part of this commitment, she encourages people to learn how things are made, to make their own, and to repair what they have. For this event, she will be sharing different colours, fibres and textures through the art of drop spindly get, which anyone can pick up with a little hand eye coordination.Much like finger painting, this is a fun, hands-on way to play with all the colours of the rainbow and learn how yarn is made. Sarah Peacock is an Art Therapist, co-founder of Another Space Studio, and founding member of Magpie’s Nest Community Art Society, based in Vancouver. Sarah strives actively to contribute to a culture where self-work is received with curiosity, courage, and love. Sarah has worked through the arts with individuals in diverse settings — children and families, youth, seniors, veterans, addictions and mental health; both in her private practice and community-based projects. Through her various platforms and workshops Sarah facilitates connectivity, creativity, and personal growth. Sarah is always inspired by creating with others, and seeking inspiration from the natural world, especially through knitting, weaving, spinning and playing with natural dyes. 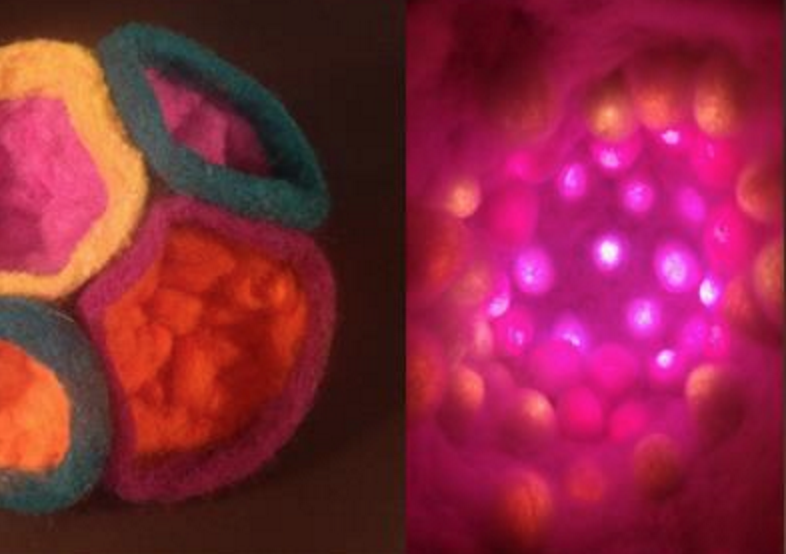 For this event, Sarah will be teaching felting, and participants can take home their own handmade felt ball. Dawn is an artist, writer, world traveler and workshop facilitator. She’s studied weaving with a master weaver for about 10 years. For her weaving, she uses a Beka rigid heddle loom. Her weaving teacher introduced this style of loom to North America and helped to design the Beka loom. It is a very simple and elegant tool that can be used to do many types of weaving. It is ideally suited to “freestyle weaving” – weaving that has no mistakes. Cosy Yarn is a knitting studio at River Market run by sisters, Susan and Sarah. It is a place where those wanting to learn can begin and those who are having trouble with their knitting project can come for help. They have been knitting since they were young. Susan has designed several unique project classes for different skill levels and age groups, even left-handed knitters. Oncle Hoonki’s Fabulous Hornship is a group of spoon carvers and horn makers based in East Vancouver. The project is part of the Vancouver Park Board’s Artist Studio Residencies in Parks Facilities program and led by David Gowman. Gowman lives in Vancouver, Canada, making wooden horns, music and paintings like no other. For just over a decade, sara gold has been performing at small underground local events and large scale festivals with a focus on electronic instrument based live performance. With a recent move into recorded works and high concept music videos, she explores techniques developed through her audio practice alongside her wearable designs carved from antique furs and natural fibre materials. Bringing her passion for the past and how it informs our future into her work, she currently focuses on creating experimental techno and scores for film with vintage analog electronic instruments. As a ‘multimedia meddler’, Dave Collins often finds himself playing with hardware of all vintages, and has recently rediscovered his interest in video feedback as a source of visuals.The “Fun With Feedback” project will show the flickering, spinning, and morphing patterns of light and dark, and the different ways to create it. By inviting the public to get hands-on with video cameras, mixers, and monitors, this project will evoke a sense of delight and surprise. The Obscurious duo combine the art of needle felting with programmable lighting and whimsy to bring you a bazaar of impossible creatures. 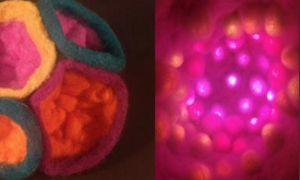 Come and see their glowing wool sculptures brought to life with embedded LEDs. Sculptural needle felting is a relatively young art form developed in the 1980s. The technique uses notched needles and wool to create 2D or 3D designs. Amy and Niel discovered needle felting at the 2015 Eastside Culture Crawl and were excited by the enormous variety of shapes that could be created. Currently, they are exploring the lighting, colour, and shape of deep sea creatures, viscera, and fungi. Nathyn Sanches is a maker, fixer, builder and inventor of interdisciplinary creative projects. From DIY projects to large installations, he regularly repurpose ‘waste’ and found items into functional inventions and use my technical background to collaborate and consult with artists to help make their creative projects into reality. Zee Kesler is a community-based artist, tiny house builder, founder of the Tiny Community Center, and co-founder of the Maker Mobile. Her interest in maker culture involves exploring participatory art in public space as a means to start a conversation and facilitate the intermingling of cultures, families and creative groups. Françoise Thibault is a Vancouver-based visual artist specializing in drawing, painting and performance. The Vancouver Experimental Theremin Orchestra (VETO) is the only theremin orchestra in Canada, and one of a few worldwide. Each member of the orchestra has a uniquely tuned instrument which contributes to the richness of the sound created by this ensemble. The Musical Playground by Publik Secrets, is an interactive installation that creates a space for hands-on music-making and improvisation. Drawing inspiration from the whimsical instruments created by inventors such as Harry Partch and the Baschet Brothers, the playground contains unique instruments that are assembled from many found and re-purposed objects. Martin Reisle (Mr. Scripsit) is a Vancouver based lettering artist, focussed on both historical and experimental western calligraphy. His passion for handwritten script leads him to work with practically any medium that suits hand-done lettering such as sign painting, engraving, pyrography and type design. He turns custom hardwood oblique pen holders (for copperplate or roundhand scripts), and boxall-style pens (both of which can be customized for specific hands or applications). He also loves to incorporate his calligraphy into his work with animation, composition, and performance art.